Karen will be teaching a feather-and-fan crochet scarf at the end of January. 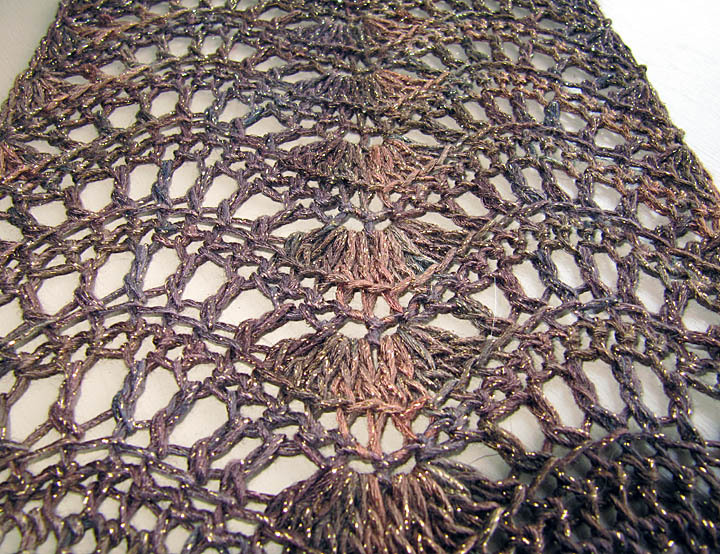 The feather-and-fan stitch is a classic fundamental in lace knitting, and this clever and elegant pattern brings the stitch to crochet as well. Schedule: The class will span 2 weeks, Wednesday evenings Jan 27th and Feb 3rd from 6-8pm. Note: This is an advanced class. Students must have already mastered the techniques covered in Crochet 101 before taking this course.